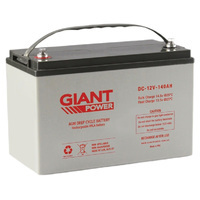 120AH Deep Cycle AGM 12V Battery Kit - Including 120AH AGM Battery & Battery Box. Great value Portable 12V Battery Power for Camping with Australia Wide Delivery. SAVE $$$$$ with our Fantastic 120AH Deep Cycle Battery Kit & Battery Box Combination Packages that will convert your deep cycle battery into a convenient and user friendly power station! 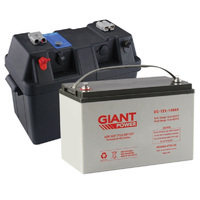 This battery box combo includes a 120AH 12V AGM Deep Cycle Battery and a Projecta Powered Battery Box. This kit will make your deep cycle batteries highly funtional in a range of situations and are perfect for those who want both battery protection and more functionality from your Deep Cycle Batteries when camping, caravanning or boating. These Deep Cycle Battery kits give you reliable 12V Power for all your camping and outdoor activities. Included is our Top Selling 120AH Deep Cycle Battery and a Projecta Powered Battery Box . SAVE $$$ with our 120AH Deep Cycle Battery and Projecta Battery Box combination kit. 120AH 12V Deep Cycle AGM Powered Battery Box Combo has a rating of 4.80/5 based on 5 reviews. Brought the 120 AH deep cycle AGM combo. Great product. Runs my MinnKota electric motor on my boat for around 8 hrs in strong currents. Option to add a circuit breaker would be good. Very happy with 120Ah battery box and battery. Only suggestion would be that would be handy if a USB port included in box for tablets and phone when camping. Very happy with product. Excellent customer service. Would highly recommend this business.